Loving mom comes easy. The bond is formed at birth and gets nurtured over years of dependency. Appreciation is different. It takes time. Genuine appreciation, after all, requires awareness of things and people and their needs outside our self. Sometimes decades later, finally removed from being aware of only our own wants, can we then truly appreciate the sacrifices “mom” made. Seems hardly sufficient that “mom” gets only one day a year then, doesn’t it? 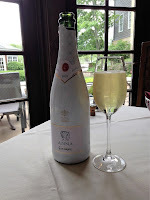 Recently, throughout Chicago-land, several restaurants teamed up with Anna de Codorniu (Spain’s bestselling sparkling wine) to promote Mother’s Day each weekend in May with special brunch menus. 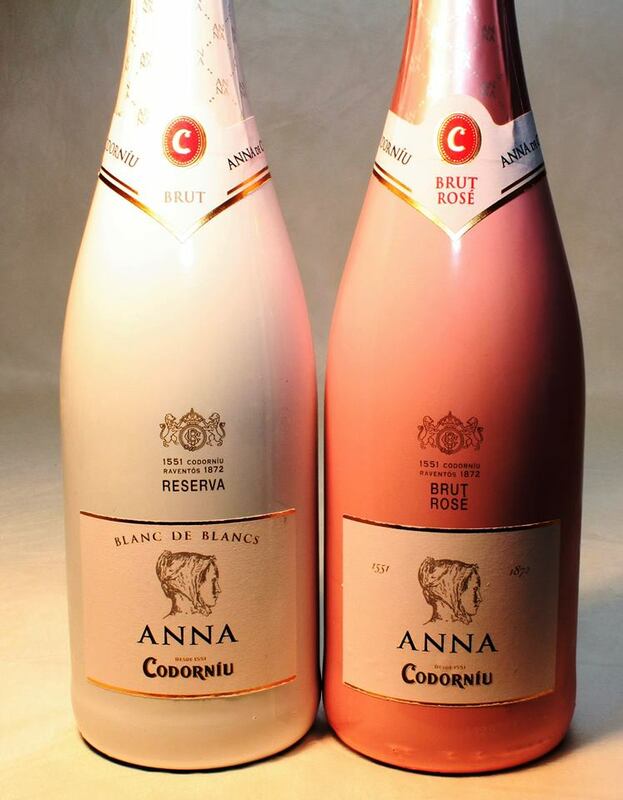 I’ve been a fan of Anna deCodorniu “Cava” (what sparkling wine from Spain is called) for years. 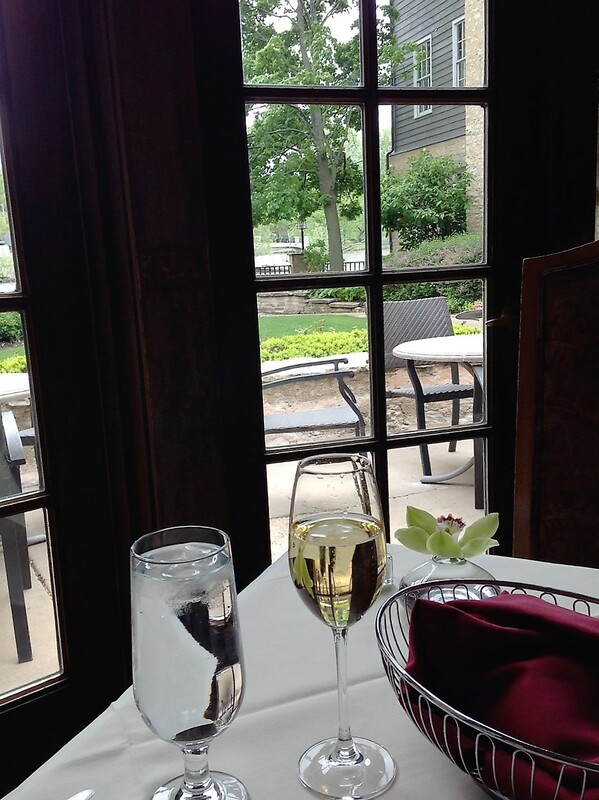 The Herrington Inn & Spa in Geneva, Illinois features a beautifully appointed dining room with lovely views of their patio and garden, a talented chef and a gracious staff that elevates the experience into the special occasion mom deserves. O.K. maybe I’m not all that removed from my own wants. I did say Anna de Codorniu after all. Let me explain. As a wine critic who has had some training and grew up with wine, I’ve enjoyed numerous sparkling wines. 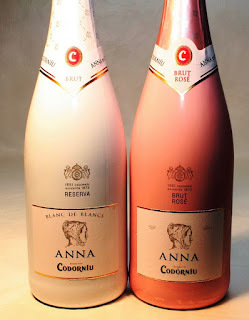 What’s so special about Anna Codorniu? It’s not, for example, the brand Frank Sinatra routinely ordered. Nor is it the trendy sparkler of famous rap singers visiting Las Vegas. But I’ve never believed that price was a determinant of quality. In fact, I’ve always been more concerned with value received in exchange for money spent. And then, there’s that thing about Anna de Codorniu being the bestselling wine of its type in Spain, where it happens to me made. And the Anna legacy goes back to 1551. Could be those people know a thing or two about sparkling wine. Chardonnay and 30% Parellada (an indigenous grape used in making high quality Cava, it contributes a green apple and citrus bouquet and makes for balanced wines with a crisp finish). Anna, by the way, was the first Cava to incorporate Chardonnay into its coupage. In fact, Anna’s descendant, Josep Raventos, was the first to master the “Methode Traditionelle” of making sparkling wine in Spain. Methode Traditionelle means the wine is made in the traditional method, i.e. fermented twice in bottle. Spain’s Regulatory Board requires all Cava be aged a minimum of nine months; “Reserva” 15 months (many are aged longer). Everyone will tell you that white sparkling wine of this type is great with oysters, and it is. 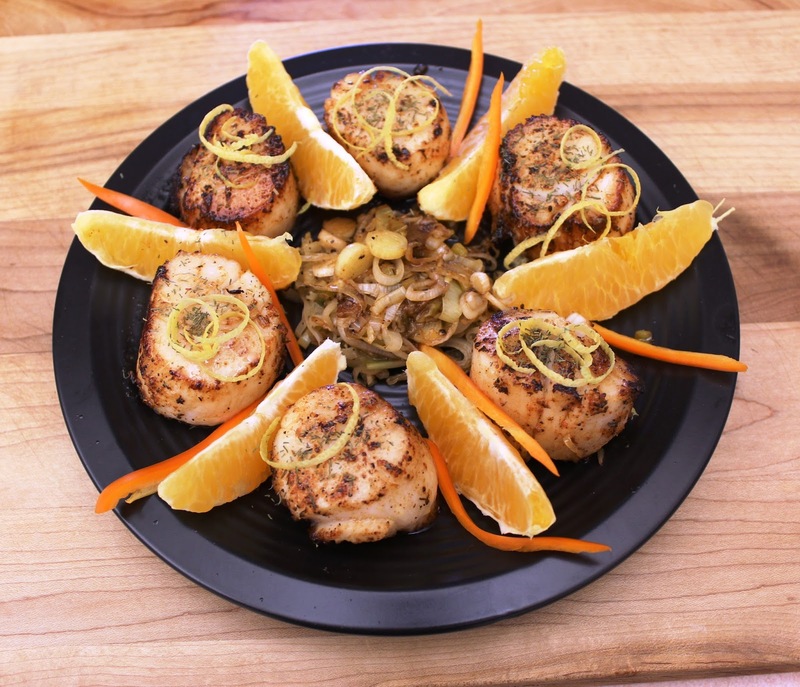 It’s great with all kinds of seafood and shellfish. And while I enjoy oysters, I know they’re not at the top of every mom’s “I want” list. So may I suggest a Mimosa for mom? Try piercing three grapes on a pick and then freezing them. Then fill a glass one-third with Anna De Codorniu, add the frozen grapes and top the glass with orange juice. 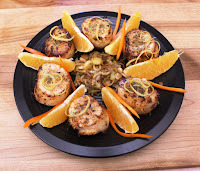 I also find this refreshing and crisp wine pairs well with so many appetizers, most any white fish, fruit desserts (such as honeydew melon carpaccio) and sushi-sashimi. O.K., I’ll bring it down a notch. Try pairing this sparkling wine with potato chips and your favorite movie. Seriously, the wine works well against salt. You’ll thank me. Enjoyed by itself outdoors (on your deck or patio) and in the graceful, breezy air of summer, you’ll be rewarded with aroma of sea shells, dried pineapple with persistent notes of citrus and a hint of chalk in a sparkling wine pale lemon in color with a golden hue. Anna also makes a Brut Rose, 70% Pinot Noir and 30% Chardonnay. The wine has a delicate cherry color with strawberry tones; aroma of fresh strawberry and cherry with hints of green apple. Grapes for both wines come from the Cava-Penedes region in northeast Spain, a “Denominacion de Origen”, or D.O., like an AOC, DOCG, or our own AVA designated area of origin). Like most dry, sparkling wines, both these finish with an alcohol content of 11.5% to 12%. Easy drinking, light, fresh wines that won’t hurt mom and you’ll enjoy too. I’ve enjoyed the Rose paired with salmon. The crisp finish of Anna Rose cleanses the palate from the healthy Omega-3 fat of salmon and works surprising well with some lamb and pork dishes also. But what works especially well with either Anna is the price. ARP is under $15! (Expect to pay more at restaurants and tasting rooms: they have expenses too). When I referred earlier to “value received in exchange for money spent” Anna matched that requirement perfectly. It’s a Wine Mizer recommendation and commonly available at many retail outlets. Mom used to say, “A king’s taste and a peasant’s pocket book.” I think she would be proud. As with all sparkling wines, please remember to chill the wine thoroughly before opening. All sparkling wine is corked under pressure. Untwist, but retain the cage, cover with a towel, twist the bottle while holding on to the cork (and keep its direction pointed away from you or your guests). To enhance the enjoyment of the Rose, you may want to allow it to warm on the counter for 5 minutes (after opening) before serving. It’s said that wine makes any meal better and I agree. But some meals are at their best when you don’t have to prepare them. 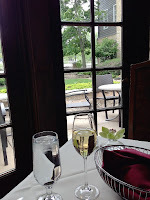 Toward that end, I’ll be revisiting The Herrington Inn restaurant in Geneva. In addition to its lovely surroundings, gracious old-world ambiance and creatively interpreted classics that delight the palate, the staff at the Herrington all seem gifted with ESP. Needs seem to be anticipated before you become aware of them yourself. Service is attentive without being intrusive. 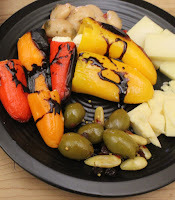 Worse – the plating is beautiful, and the meal itself so much better than I could have done! Fortunately, I had some Anna de Codorniu to comfort me in my shame. As I said, genuine appreciation takes time, and enjoying the brunch at The Herrington made me appreciate the difference between being an accomplished home cook and a professional chef. 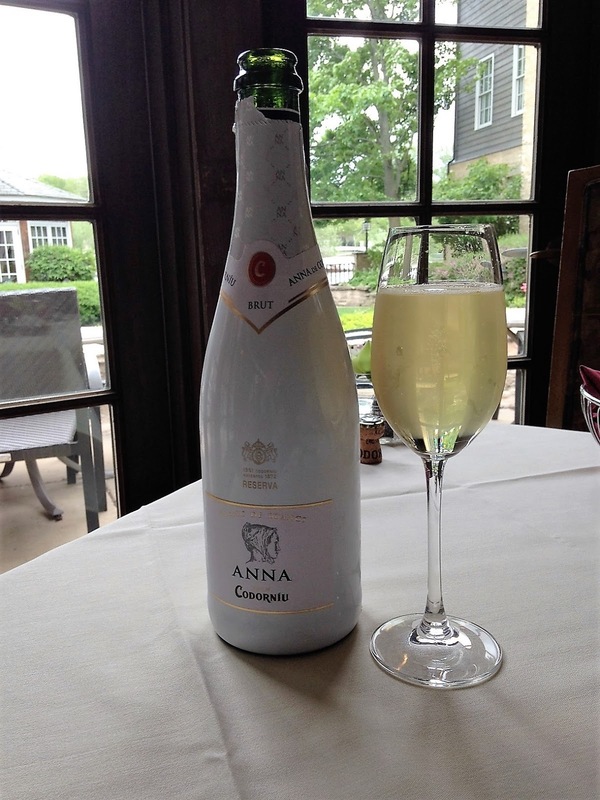 The Herrington Inn and Anna Codorniu – a great partnership! Bring mom there next May, but check them out yourself in the meantime. 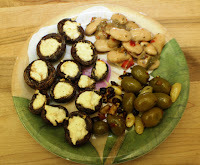 Follow Wine Mizer on FaceBook for recipes, mini reviews of wine, fun facts, industry news and more.